The long-established galactic order is passing. The Honoured Matres, ruthless and all-conquering, have destroyed the planet Dune. In opposition, hard-pressed but still fighting back, the Bene Gesserit sisterhood co-ordinate their resistance from their as-yet undiscovered home world, Chapter House. Now as a new Scattering is planned, they still have one carefully nurtured asset: the sandworms, offspring of the only giant worm salvaged from Dune. 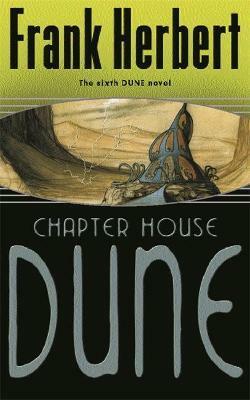 Chapter House is to about to turn into a barren wasteland: Chapter House will be the new Dune.